Alicia and Cody are a lovely couple from San Diego who love to travel. 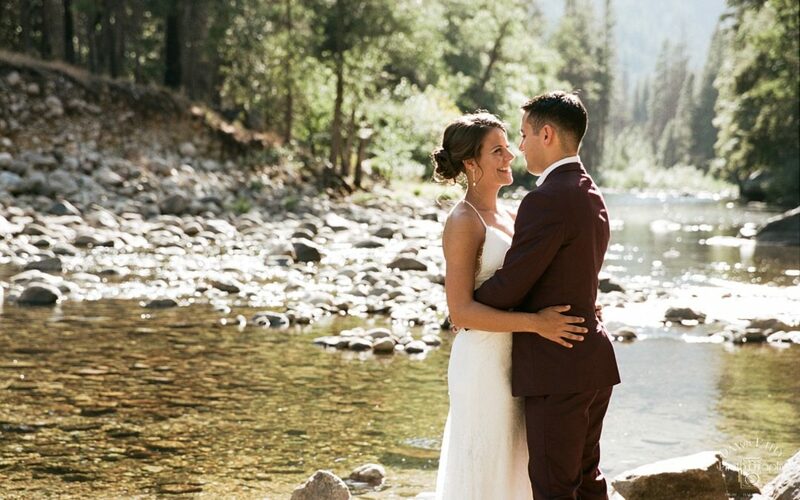 Their Yosemite elopement was like a dream, because they are dream clients. They left us this amazing review, and I had to share. “Dawn Kelly is the ONLY choice if you’re eloping to Yosemite. She is absolutely amazing to work with. My now Husband and I were so beyond happy we found her. My Husband and I knew from the start we wanted to elope to Yosemite and started to feel very overwhelmed upon trying to find a photographer. We’re based about 8 hours from Yosemite and didn’t know where to begin. Should we get someone near us to meet them and pay for their travel to Yosemite? Or should we find someone near Yosemite we couldn’t easily meet and save on travel costs for the photographer? That was our most difficult decision with the entire elopement. We started doing some research and came across Dawn’s elopement guide. I was sold from that moment on, it was so detailed and thorough. I knew if that was all the information she was willing to post for free, she must have all the best secrets as well! And she absolutely does!! She was very communicative from start to finish. Always available for questions/concerns/comments, etc. It was wonderful!! We were able to enjoy our entire engagement, instead of stress about the wedding! My Husband is a little camera shy, so I knew our photographer had to be great to make him feel at ease. As soon as we connected with Dawn the day of it felt like we had known her forever! She was so relaxed and calm, yet organized!! We had a concise, logical, schedule, with some room for impromptu shoots! We also opted for the officiant to be provided and Lindsey was fantastic!! She made our service very relaxed, intimate, and fun!